CLEARANCE!! THIS SET NOW $2795.!! 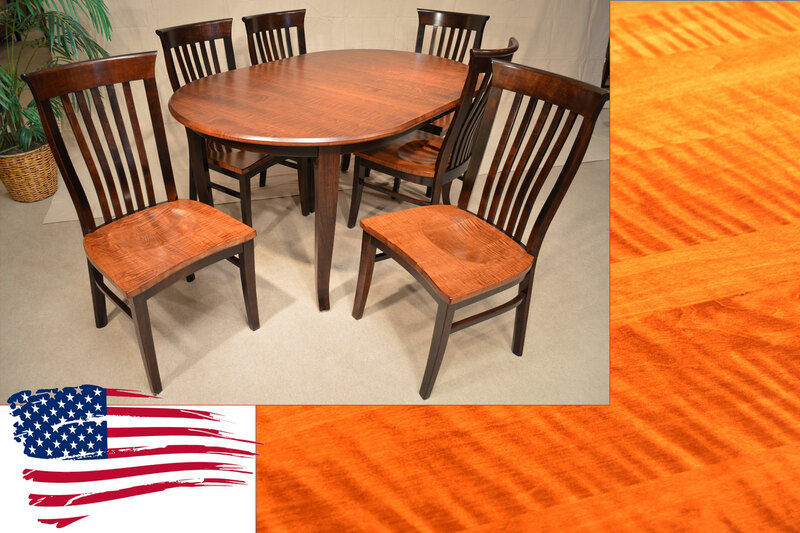 Amish Oval Dining Table and Tiger Maple Side Chairs. Gorgeous and simple traditional styling in this set make it a showstopper with the addition of Tiger Maple on the Dining Table Top and Chair Seats. Brown Maple with a darker stain is used on the remainder of the set to lift and enhance the natural beauty of the Exotic Tiger Maple Grain.